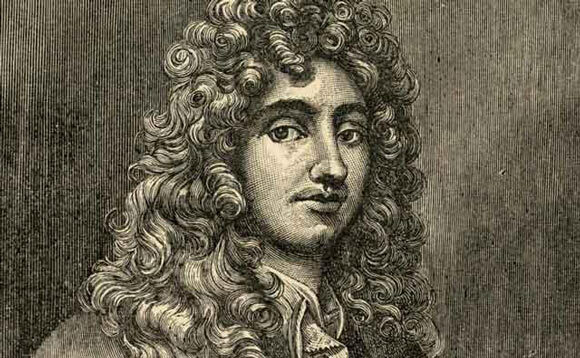 Christiaan Huygens was a Dutch mathematician, physicist and astronomer of the 17th century. He was born in 1629 at The Hague to a wealthy and influential family. His father was Constantijn Huygens, a well known diplomat and poet. His father’s social circle included several prominent intellectual personalities, most notably the scientist and philosopher René Descartes. Huygens showed a marked interest in mathematics as a child and his mathematical and drawing skills attracted the attention of Descartes who visited the Huygens’ household several times. He was educated at home until 16 years of age, where he learnt a wide variety of skills including languages, music, history, geography, mathematics, logic, dancing, fencing and horse riding. Huygens studied mathematics and law at The University of Leiden in 1645, and entered the College of Breda two years later. His first visit to Paris was in 1655 where he moved in distinguished company due to the advantages of his family background and wealth. During one of his visits, he met with the French mathematician and philosopher Blaise Pascal. The two had already been corresponding on mathematics prior to meeting in Paris. In Paris, Huygens also became acquainted with the German mathematician Gottfried Wilhelm Leibniz, another distinguished intellectual with whom he developed a lifelong friendship and professional association. Huygen’s years of research in Paris culminated in the publication of his most brilliant work “Horologium Oscillatorium” in 1673. In it, he discussed, among other topics, theories on the mathematics of curvatures, problems of dynamics such as the formula for the time of oscillation of simple pendulums, and the laws of centrifugal force. Christiaan Huygens’ first publication was “Theoremata de quadratura” in 1651, which was a major contribution to the field of quadrature. He also studied spherical lenses and began grinding his own lenses in 1655. He published a treatise on probability theory in 1657. With these and other publications, Huygens gained a reputation as a highly regarded mathematician in Europe. In 1659, he discovered the shape of the rings of Saturn using the telescope he had helped to develop. His interest in astronomy led him to discover the pendulum as an accurate instrument of measuring time. He patented the first pendulum clock in 1656 and also invented the cycloidal pendulum. His pendulum clock was by far the most accurate method of measuring time in existence back then. Huygens’ work attracted the attention of many notable scientists of the time, and even royalty; the Duke and Duchess of York came to observe the Moon and Saturn through his telescope. Huygens was elected to the elite “Royal Society” in London in 1663. In 1666, he became one of the founding members of the French Academy of Sciences. He drew the largest pension amongst all the other members and was given an apartment in the building of the institution. Huygens suffered from poor health all his life. In 1670, after a bout of serious illness during which he considered himself close to death, Huygens asked for his unpublished papers on mechanics to be sent to the Royal Society. He recovered, however, and continued his work in Paris until 1676, when another bout of illness forced him to return to his home in The Hague. He continued his work there on the velocity of light for two years. Despite his precarious health, Huygens lived until 1695 during which time he continued his work on various topics. To date, he is widely acknowledged as one of the greatest mathematicians of all time.